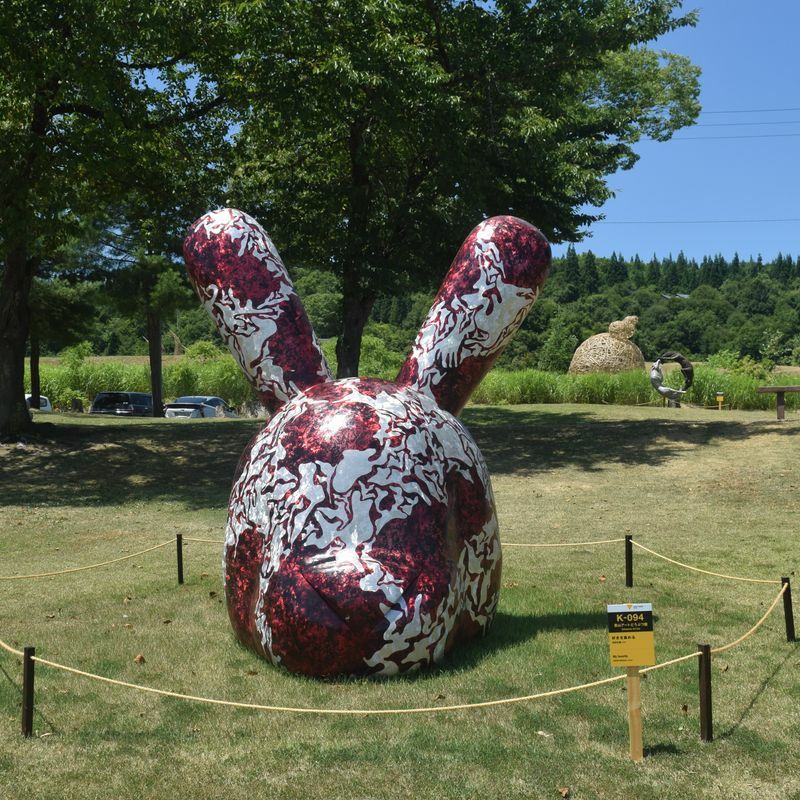 My husband wrote yesterday about our first foray into the Echigo Tsumari Art Triennale. 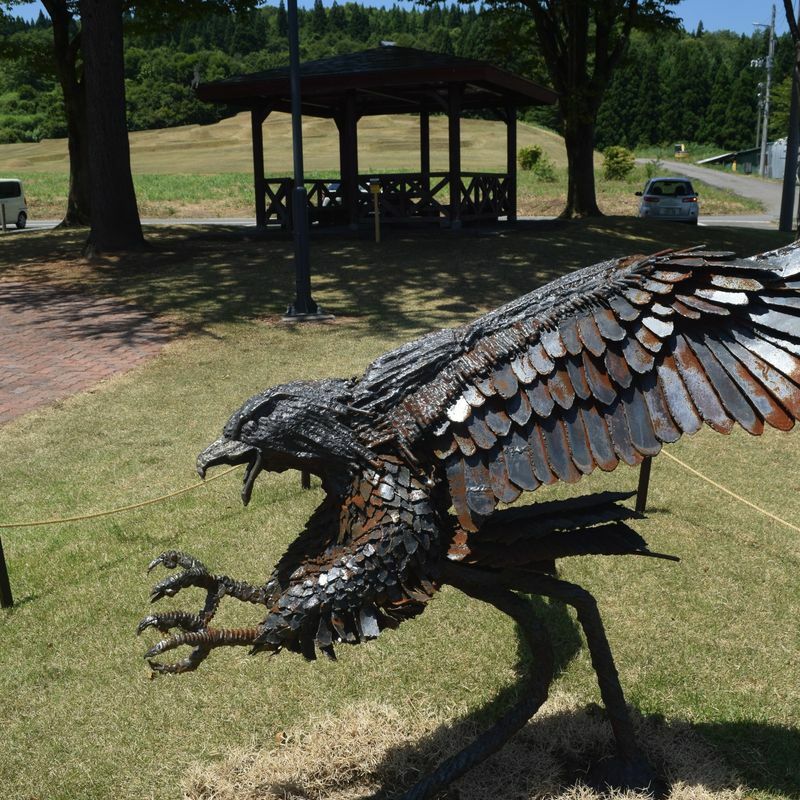 It's an event held every three years here in Niigata, which showcases the work of both local and international artists. 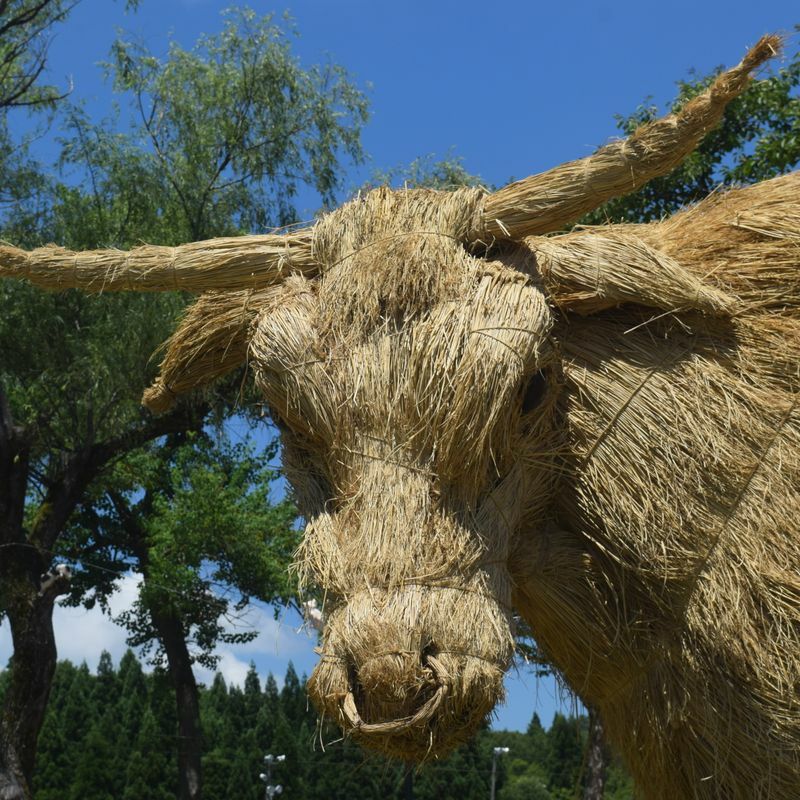 We had some spare time today so we headed out to another area which has artworks displayed for the event - the Satoyama Art Zoo. 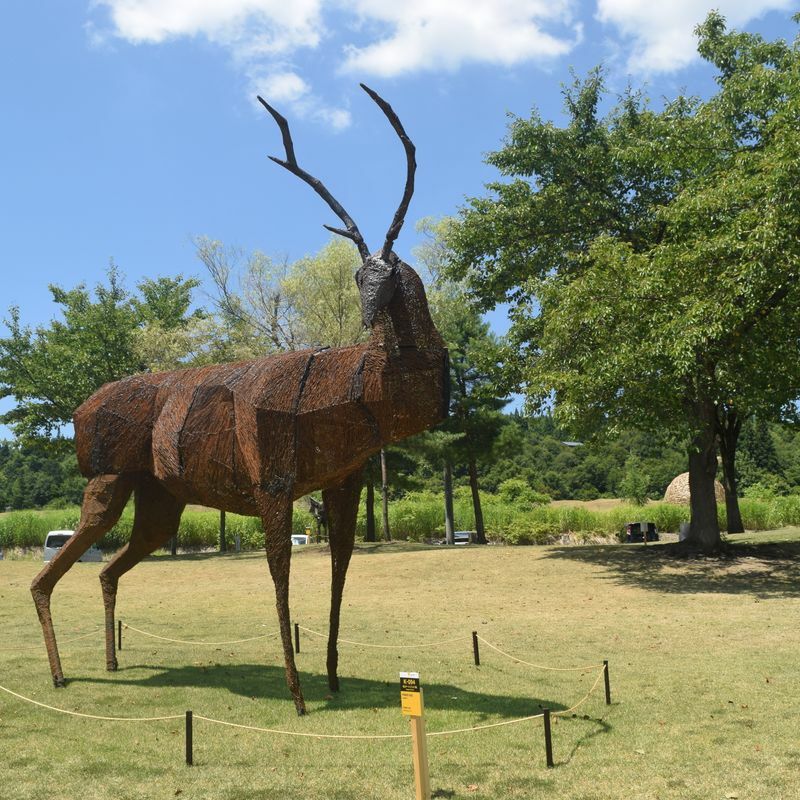 The zoo isn't your typical one - all the "animals" on display here are artworks! One of the things that I found most fascinating was that all the animals were made out of different mediums. The piece below is called "Mishimaushi", produced by Yuma Matsumoto + Wara Art Japan. This one may have been my favorite of all the animals that were on display. It was also one of the largest displays across the park. You can see a close up of the piece here - the level of detail is pretty incredible. 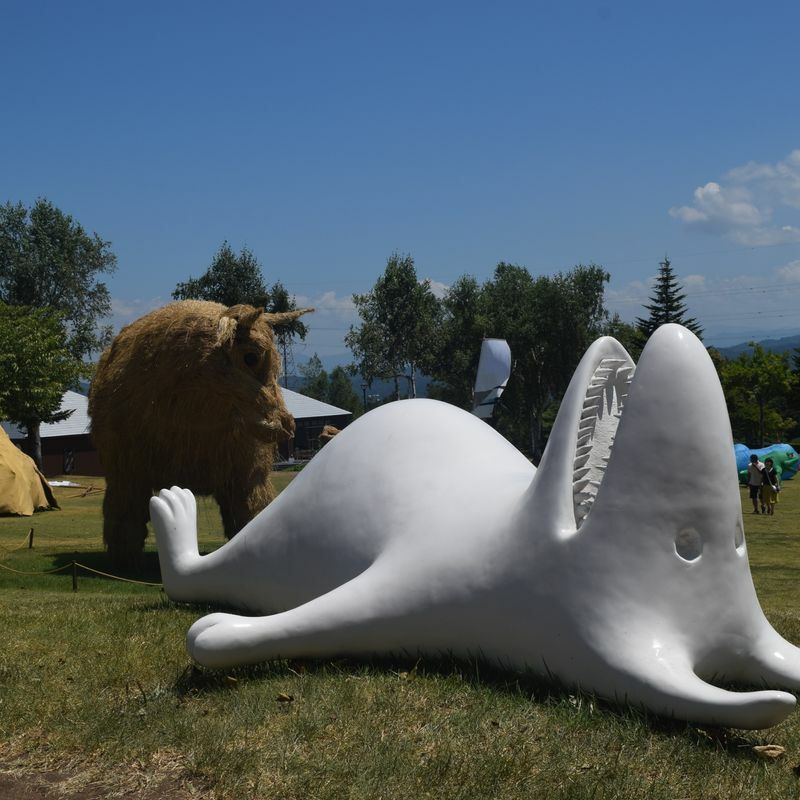 My husband and I both laughed at this piece, since it accurately described the exhaustion we were feeling after exploring out in the heat for a while! Exhausted! I loved the rustic looking nature of this piece, but I forgot to catch the name of it! 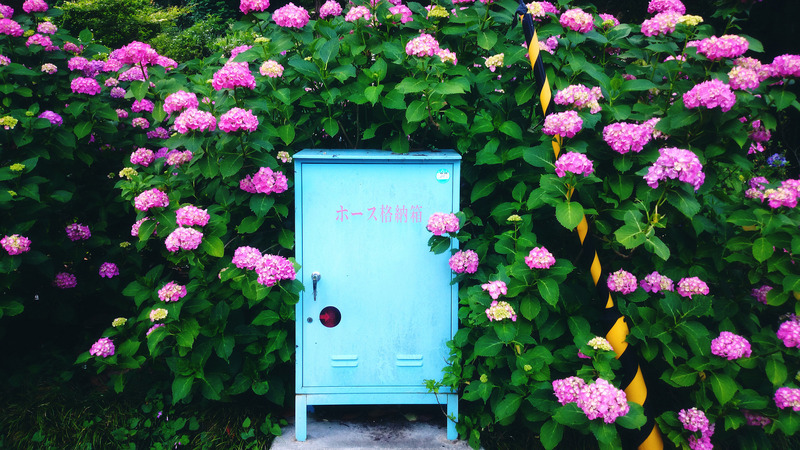 The piece below is "Andrias Japonicus" by Hironori Hashi. 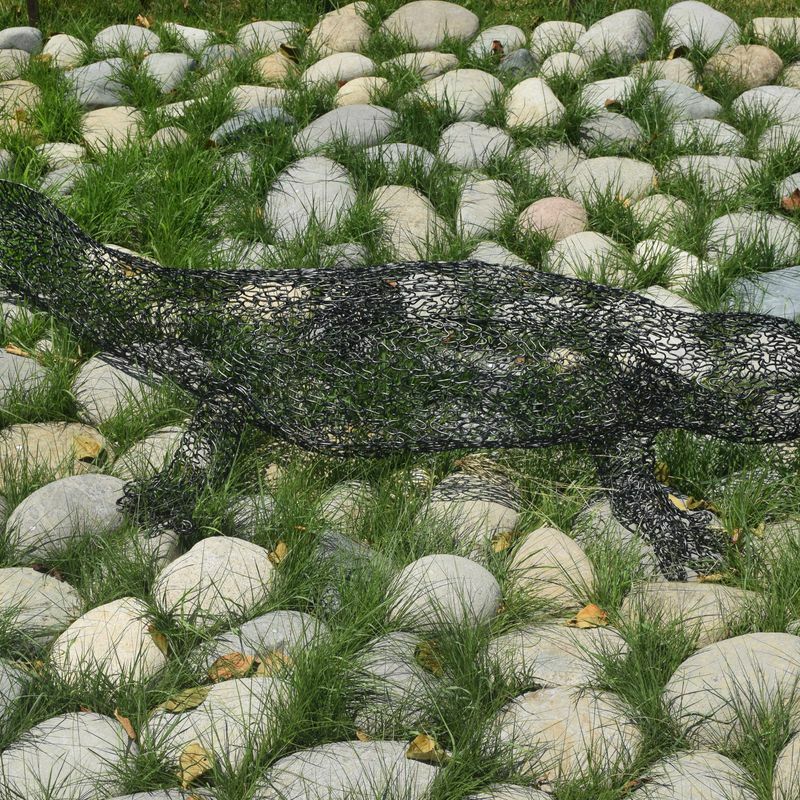 It's a Japanese giant salamander, and it was made of wire and sitting on a bed of stones. 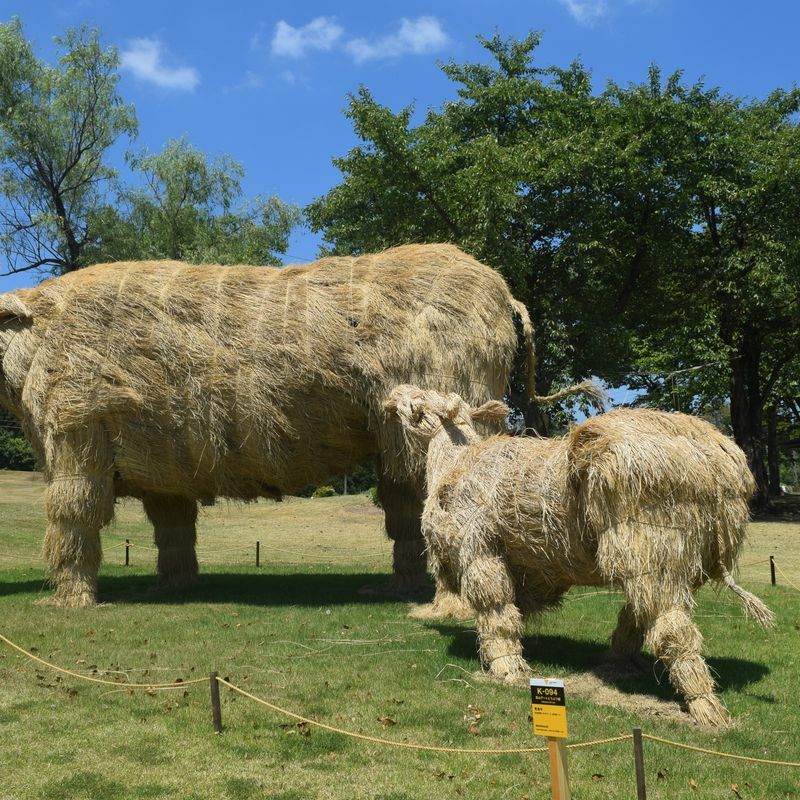 If you have a limited amount of time when visiting Niigata, heading to the Satoyama Art Zoo as part of the Echigo Tsumari Art Triennale is my recommendation. There are so many pieces that you can see in the one spot, and each of them are unique and beautiful in their own way. You can see some more of the animals below, although the photos don't include every single animal on the grounds! 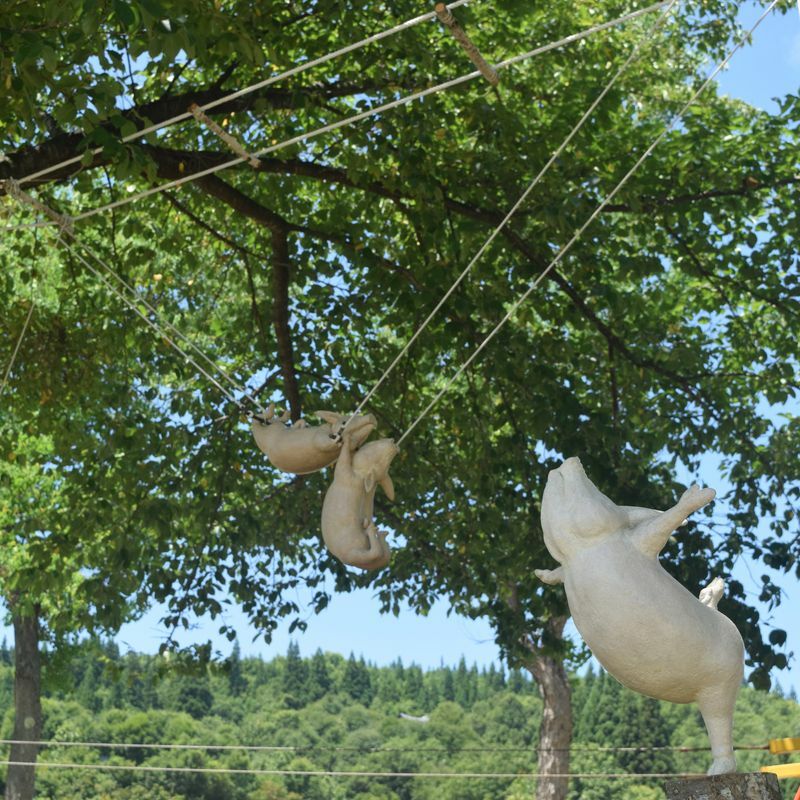 We loved these trapeze and tightrope pigs hanging up in the trees! 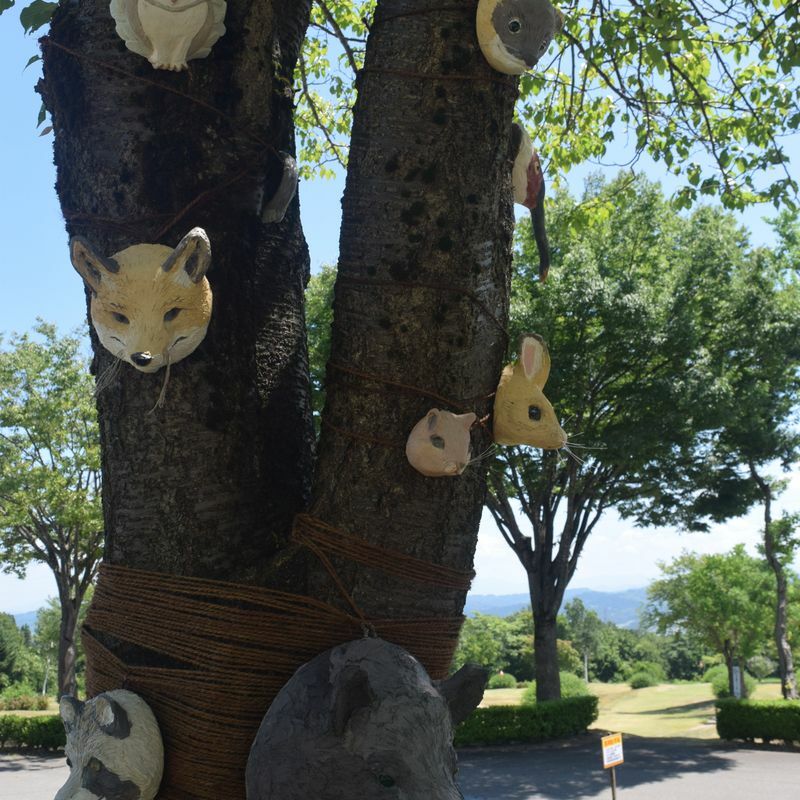 Even tree trunks were adorned with animals. Map Details for the Nakago Green Park (where the Satoyama Art Zoo is located) are below. 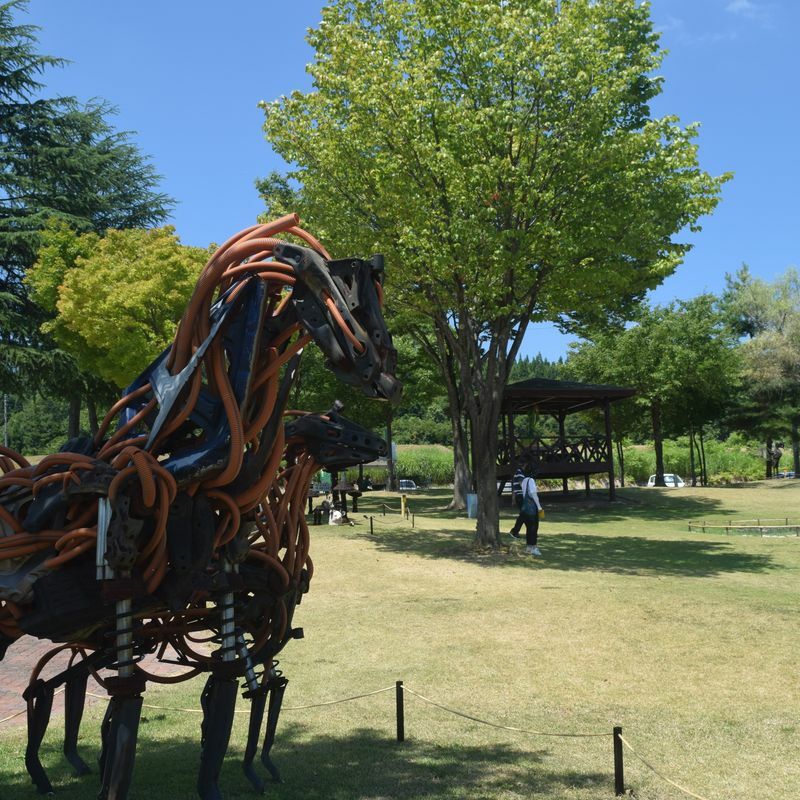 The park grounds also include a cafe that sells food items like curry rice, soba, udon, ramen, and gyudon bowls. There are restrooms on site, and plentiful free parking is also available. omg I love this!! those cows! !